AeroBD | The AERO news Company…LONDON, December 07, 2015 : Moscow is ending military ties with Ankara after a Turkish fighter shot down a Russian aircraft when Turkey said its airspace was violated. 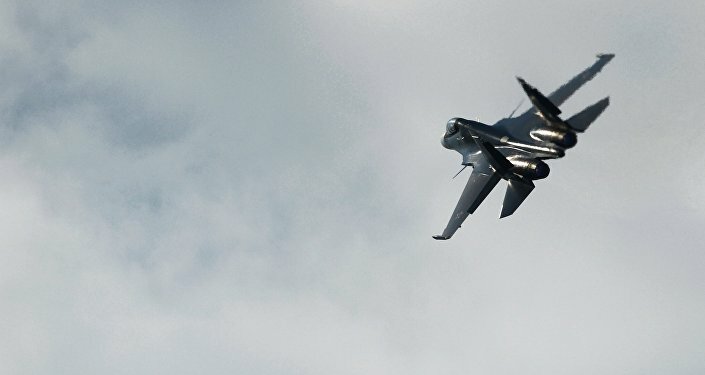 Two Turkish F-16 Fighting Falcons downed the Russian Sukhoi Su-24 fighter bomber after Turkey said it had crossed a sliver of Turkish airspace several miles across, where Turkey’s Hatay province borders with northern Syria. The Turkish defense ministry said the Russian crew was warned 10 times in 5 min. minutes before the Turkish fighter fired on the Russian aircraft, using an AIM-120 AMRAAM in line with rules of engagement set by Ankara. The Su-24 wreckage came down inside the Syrian border. Online video footage shows two parachutes deployed following an ejection, but there are conflicting reports concerning the pilots. One Russian soldier was killed when one of two helicopters sent to recover the pilots was attacked. The incident has raised tensions between Russia and NATO, of which Turkey is a member. After a hastily arranged meeting of the North Atlantic Council, NATO Secretary General Jens Stoltenberg said the treaty powers would stand in solidarity with Turkey. But he called for calm and urgent de-escalation. This is likely to involve fighter escorts for its strike aircraft. The Russian foreign ministry urged Russian tourists not to travel to Turkey due to concerns over terrorist threats. Russian President Vladimir Putin described Turkey’s government as an accomplice to the terrorists operating in Syria. He said Russian intelligence had observed the movement of a large amount of oil and petroleum products to Turkey from Islamic State-occupied territory. “We will of course carefully analyze what has happened and today’s tragic event will have significant consequences for Russian-Turkish relations,” he said. Russia now has a significant number of combat aircraft based at Hmeymim air base in Syria near Latakia, from where it is providing air support to Syrian troops loyal to President Bashar al-Assad. Aircraft based there include Sukhoi Su-30 Flanker fighters, Su-24 Fencer and Su-34 Fullback fighter bombers and several Su-25 Frogfoot close support aircraft. These are supported by a number helicopters and electronic surveillance aircraft. Turkey has shot down a number of aircraft that have violated its airspace since the beginning of the Syrian conflict.